John Curtis was Keeper of the Middle East Department at the British Museum 1989-2011, and is now Keeper of Special Middle East Projects. He specialises in the archaeology and and history of Iraq and Iran between 1000 and 330 BC. He has excavated and travelled widely in both countries, and has writen or edited more than 20 books and many articles. 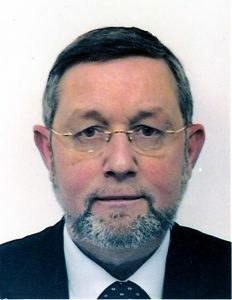 He is a Fellow of the British Academy, and a coresponding member of the German Achaeological Institute and the Archaeological Institute of America. He was awarded an OBE in 2006. He has won prizes from the Iran Heritage Foundation in 2005 and 2013 and from the Islamic Republic of Iran in 2009. Since 2003 he has been particularly active with attempts to protect the cultural heritage of Iraq.